The Academy Award-winner opens up about updating an iconic role, why diversity in film is so important, and what Aunt May does for a living. “Spider-Man: Homecoming” has been earning rave review from critics and fans alike, stealing the top spot at the box office on its opening weekend, and raking in over $154 million during its first week in theaters. No one has really captured both sides of Peter Parker’s personality quite as succinctly as Tom Holland, who plays the character like a plucky Queens kid that just feels right. But the new movie contains another notable character shift: Aunt May, now played by Marisa Tomei. This wasn’t the Aunt May fans might remember from the comics — a sweet old woman keen on cooking and housekeeping, her collar buttoned high, her silver hair pulled back into a matronly chignon. With her very first appearance on screen (in a fleeting moment from “Captain America: Civil War”), Tomei establishes that her version of Aunt May hails from a different character type altogether: Here was a younger single woman, thrust into unexpected circumstances in life as the guardian to her orphaned nephew. Needless, this isn’t the sort of movie that Tomei is accustomed to appearing in. In recent years, the actress received two Oscar nominations, for “In the Bedroom” and “The Wrestler,” and won one back in 1992 for “My Cousin Vinny.” It’s not unusual to see Tomei on the big screen, on television or even on the Broadway stage, but taking on a role in a Marvel blockbuster is still new territory. At the same time, it’s a sign of an actress who continues to push the boundaries of her career, circumventing Hollywood’s track record of ageism, and never allowing her extraordinary talent to be limited to only one type of project. But while Tomei brought a deeper understanding of who Aunt May really is apart from Peter, the character was still subject to a slew of jokes and comments about her appearance. 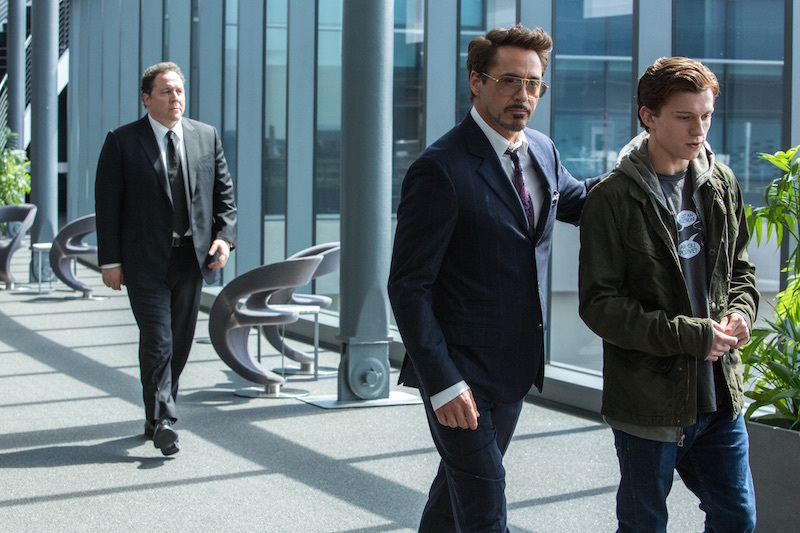 In “Captain America: Civil War,” Tony Stark is blown away by just how attractive Aunt May is, and there’s an flirtatious electricity between the two character made all the more fun thanks to the history between Tomei and Downey, Jr., who were a real-life couple in the early ’90s and starred together in 1994’s romantic comedy “Only You.” At the time of the film’s release, there was plenty of conversation.